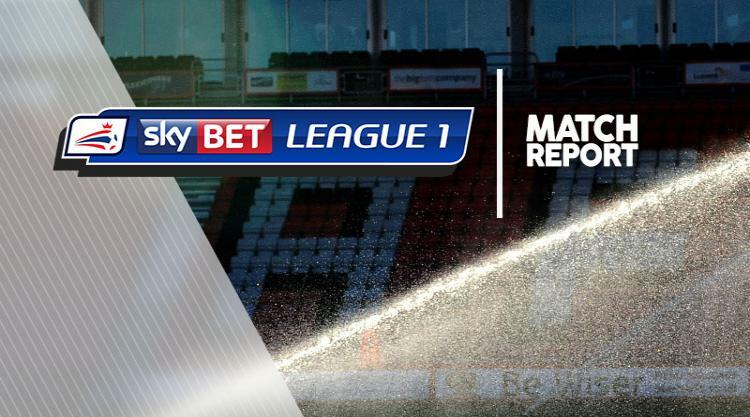 Blackburn's march up the League One table continued as Marcus Antonsson fired them to a fourth successive victory, 1-0 at previously unbeaten Scunthorpe. The on-loan Swede struck in the 58th minute, pouncing at the far post to convert from Elliott Bennett's inviting cross. Although not quite a smash-and-grab, Rovers owed as much to Scunthorpe's failure to turn pressure into goals as their own efforts. They were on the back foot for large spells, especially during a first half in which goalkeeper David Raya thwarted Paddy Madden, Duane Holmes and Josh Morris twice. The first of the visitors' few sights of goal did not come until just before the break, when Dominic Samuel forced Matt Gilks into action and Rekeem Harper glanced a free header wide. But Blackburn took that momentum with them into the second half - during which Leeds frontman Antonsson provided an entertaining contest's defining moment. There were late scares for the visitors when Neal Bishop had a header cleared off the line and Funso Ojo forced another impressive stop out of Raya, but Rovers held firm.